Bio: Born 195i in Minnesota, Deborah Damgaard-Hansen learned to paint in college, and too additional private instruction in classical and plein air painting. After ten years in Norway, Deborah moved to Denmark in 2002, on the far northwest, in Thy, between the west coast and the Limfjord waterway. This is where she mostly paints, weather permitting, but also in other parts of Denmark, especially the architecture of Copenhagen. Deborah has won awards in the IAPS, and the Pastel Guild of Europe. Subjects : Landscape, Still life. 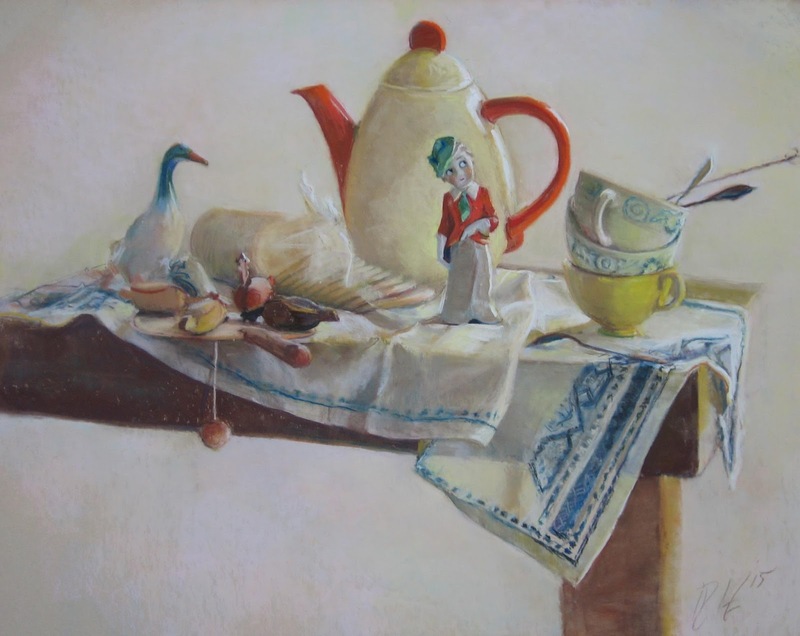 Deborah says: Since it's ofter rainy or windy or a wild combination of both...it's not always possible to venture out to paint.I then explore Denmark inside: the odd bits and pieces of daily life - most often retro and antique things, from which I compose a still life.. Image View: Images reveal details of size and title on mouseover, which means that they cannot be downloaded. 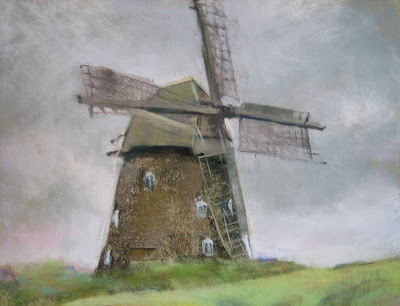 Miss Pepper on the Edge is 55 x 70 cm; Windmill on a Cloudy Day is 30 x 40.